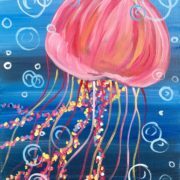 Painting time will last about 90 minutes as our resident artist Meghan guides you through creating your own 11×14 acrylic painting on canvas. 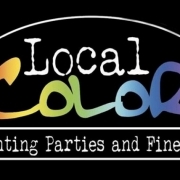 You can choose your own colors, so don’t be afraid to get creative! 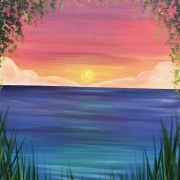 Uncork your inner artist while learning how to paint a sunset on the Sound! 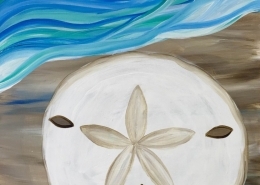 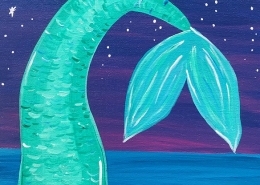 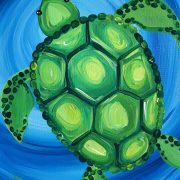 Uncork your inner artist while learning how to paint a serene sea turtle! 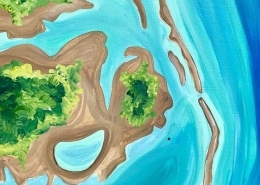 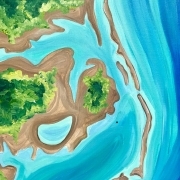 Uncork your inner artist while learning how to paint an aerial map of the Outer Banks! 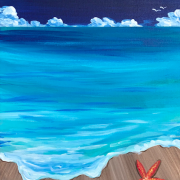 We’ll stencil the map on your canvas, so your painting will come out perfectly! 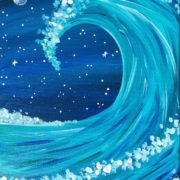 Uncork your inner artist while learning how to paint an epic moonrise! 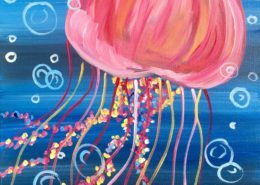 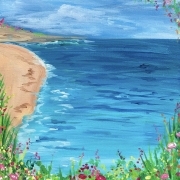 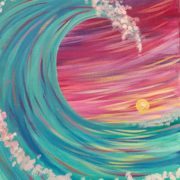 Uncork your inner artist while learning how to paint a spring day on the Outer Banks! 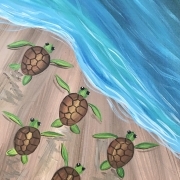 Uncork your inner artist while learning how to paint a bunch of baby sea turtles!